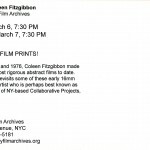 Anthology Film Archives, NY. 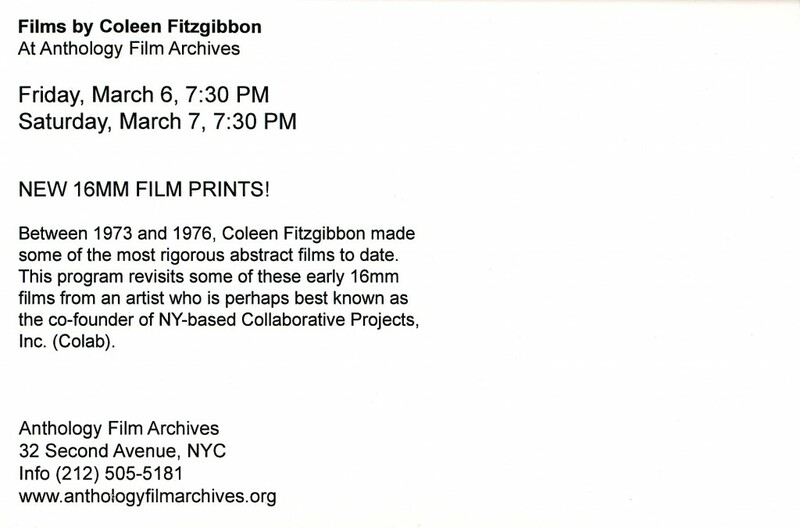 March 6 & 7, 2009. 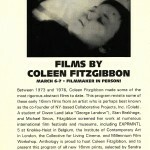 Films of Coleen Fitzgibbon. 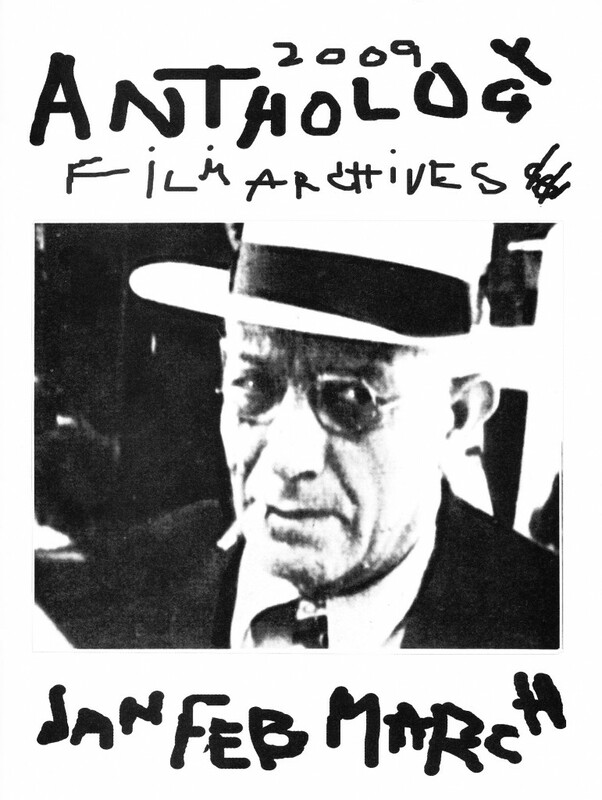 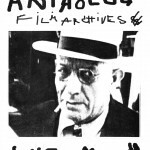 Anthology Film Archives, New York, NY. 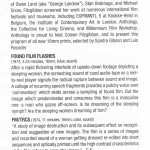 March 6-7, 2009. 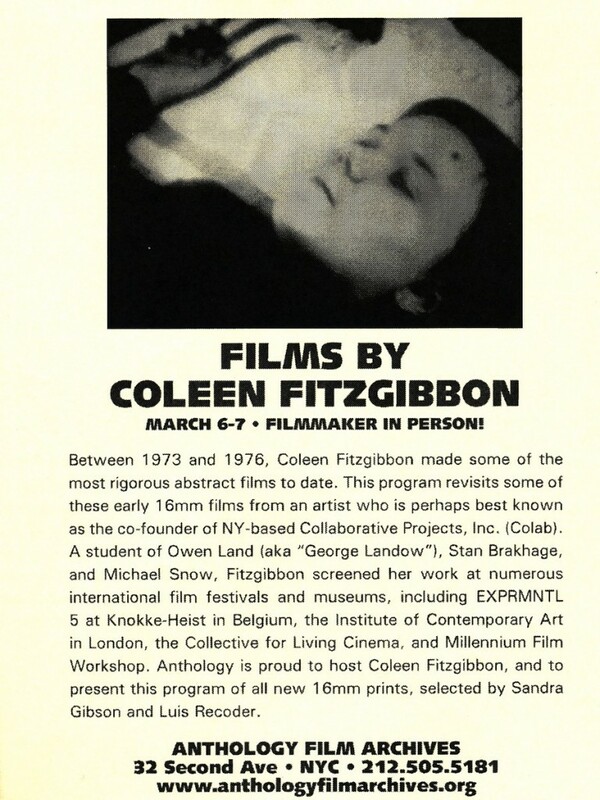 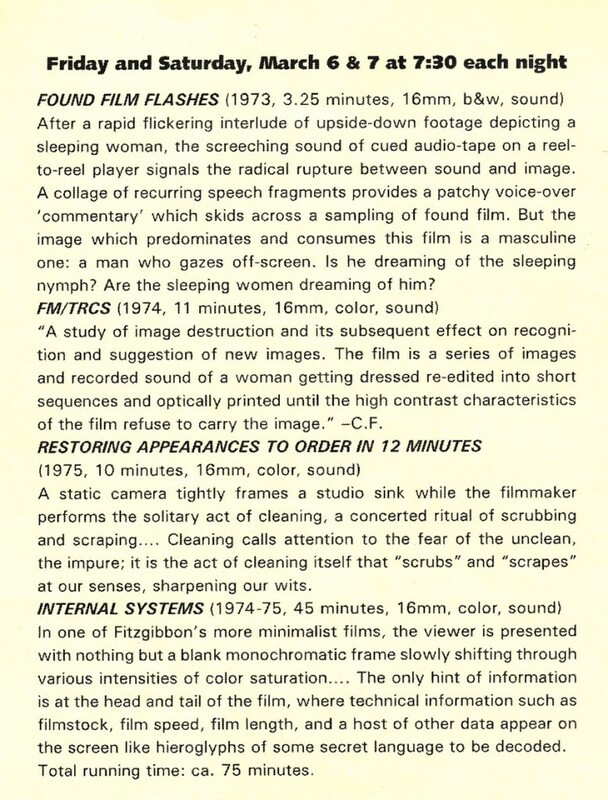 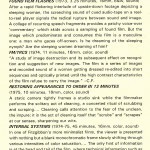 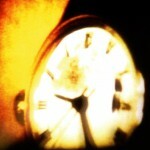 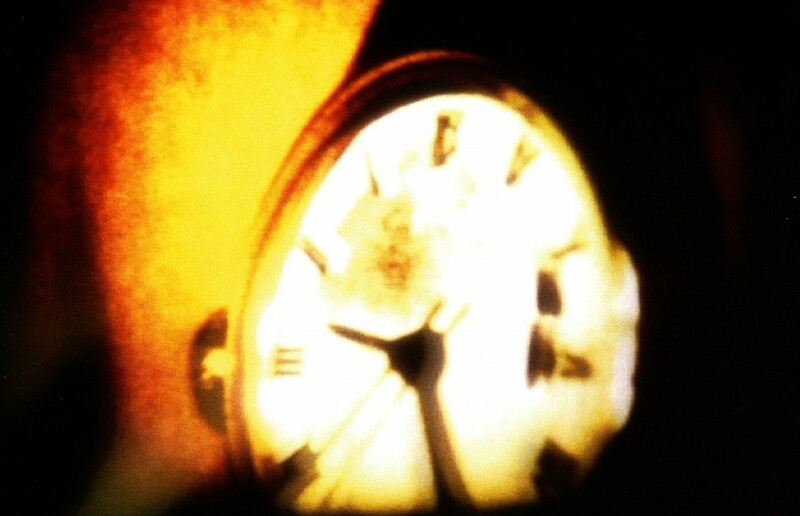 Films by Coleen Fitzgibbon: Found Film Flashes, FM/TRCS, Restoring Appearances to Order in 12 Minutes, Internal Systems.